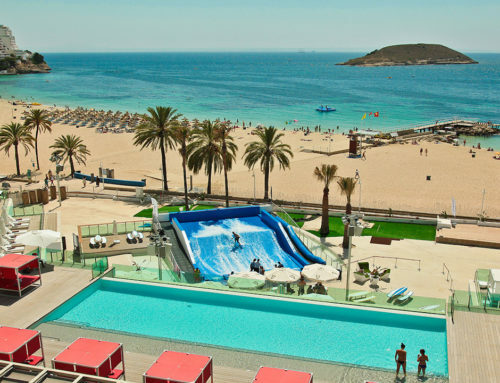 Only a 5-minute walk from the fantastic sands of Magaluf Beach, this casual 4 star resort hotel is ever popular with groups of golfers due to it’s proximity to the extensive and wide ranging night life of Magaluf. 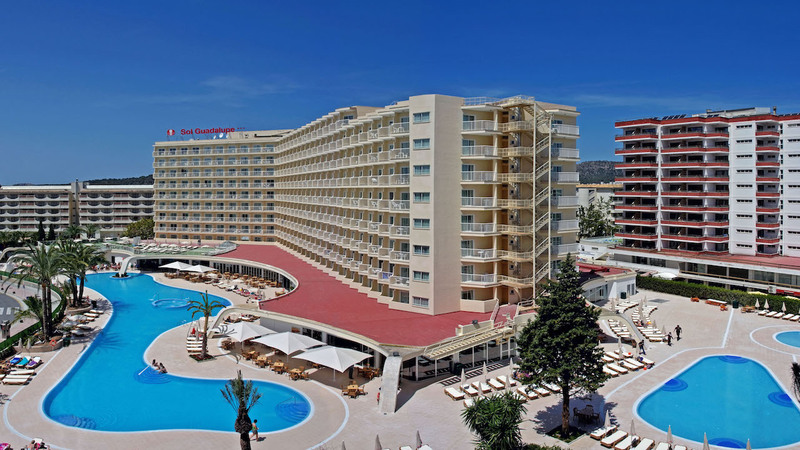 Featuring furnished balconies, the functional, modern rooms have free Wi-Fi, flat-screens and mini fridges. Some rooms offer sea, pool, garden and/or mountain views. Suites have the addition of pull-out sofas. Free breakfast is served in a casual stylish buffet restaurant. In the evening a selection of international cuisine and show cooking is offered. There’s also a snack bar and a pool bar. Other amenities include 4 outdoor and indoor pools, evening shows, fitness and sports programs for adults. Minimum-stay rules may apply.